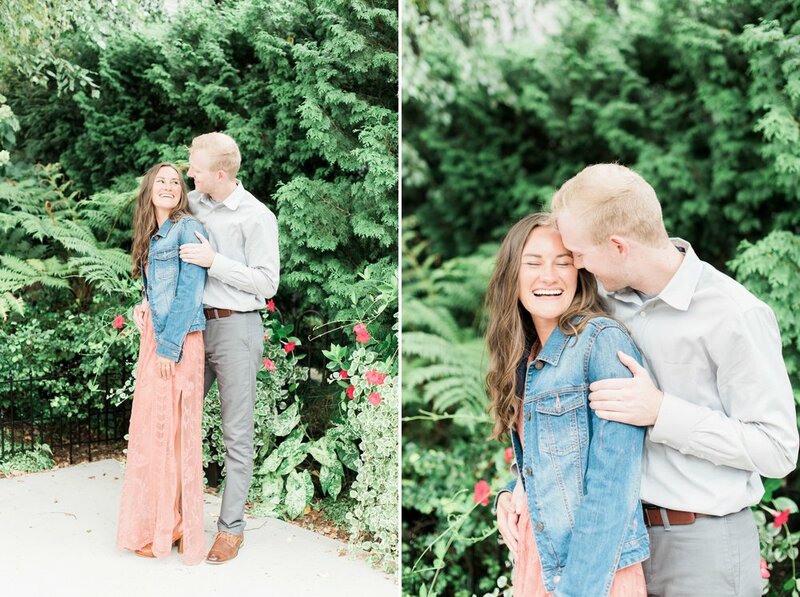 I have been so excited to share this sweet engagement session on the blog! 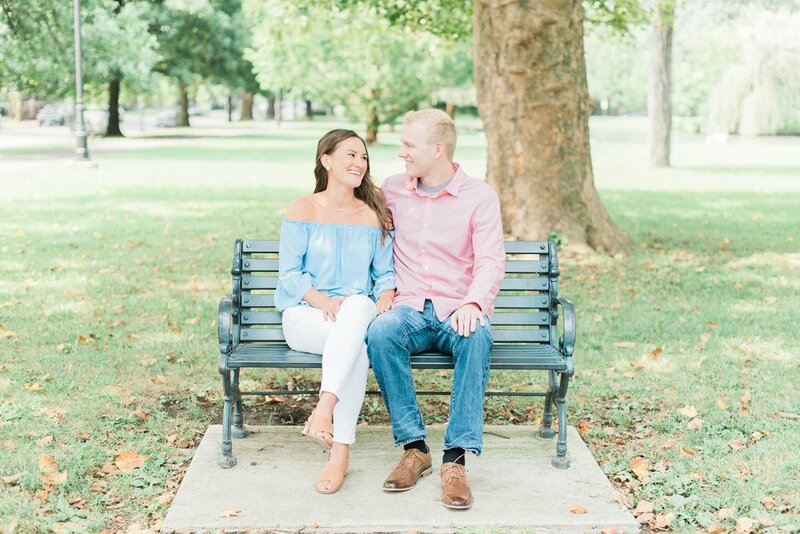 Meet Morgan and Alex, one of my 2018 couples! I feel so lucky to be working with this kind and adorable pair. Morgan was actually the maid of honor in one of my weddings last year! It's such a privilege to get to be a part of the weddings of friends of past brides and grooms. 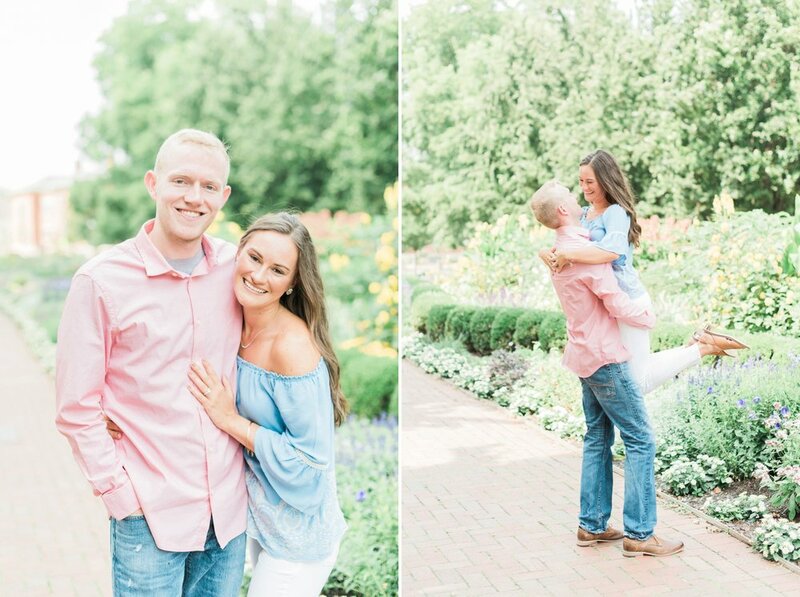 Morgan and Alex live in North Carolina, but they met and grew up here in Ohio, and are getting married here next summer! 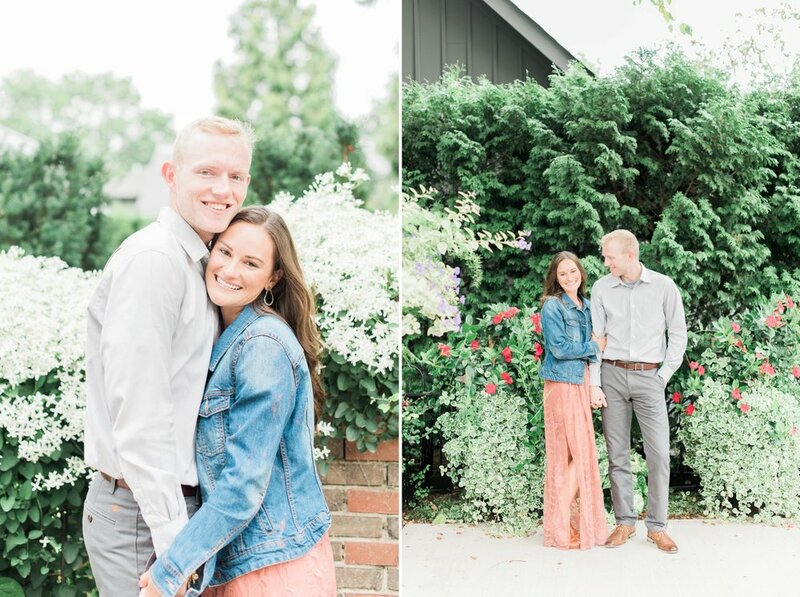 We scheduled their engagement photos while they were in Columbus for a weekend, and although our first attempt got rained out, we were fortunately able to sneak in a reschedule on a gorgeous day before they headed home! 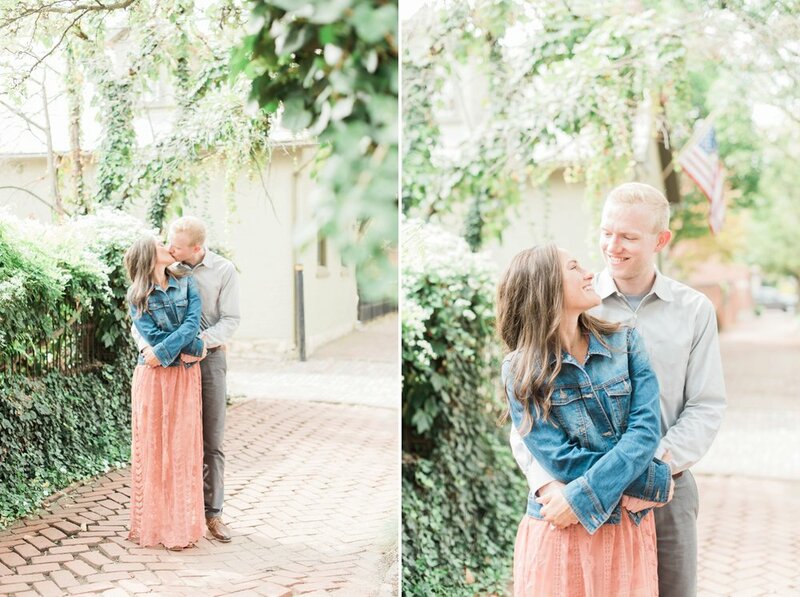 Morgan loves all things brick, so naturally we had to go to German Village for their pictures. I think it's clear from these pictures that these two make each other so happy. Alex kept Morgan smiling and laughing the whole time, which made my job pretty easy! ;) Cannot wait for next July! !